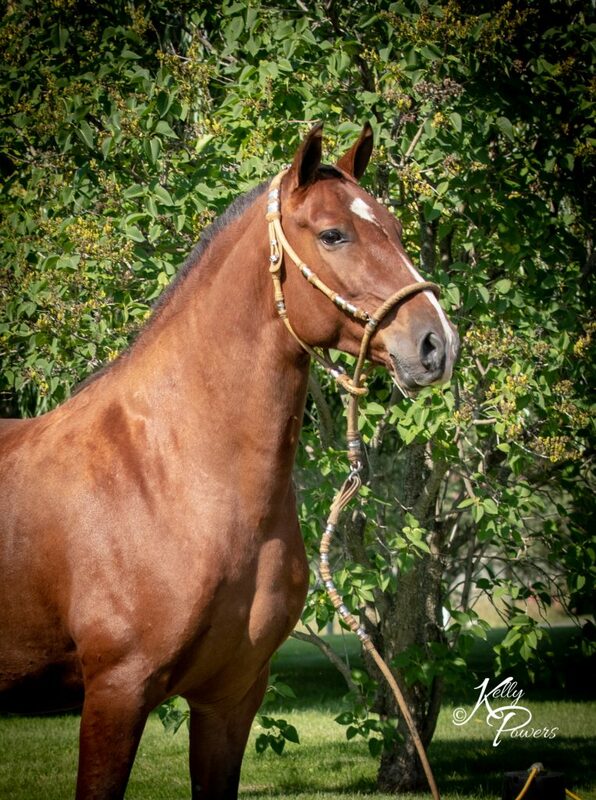 RSTD Namaste is a strong, well built bay gelding. He is very personable and looks to his handler for reassurance. He has been shown successfully, and is a 1st place winner of the 2017 Geldings Bozal Class at the Canadian National show. 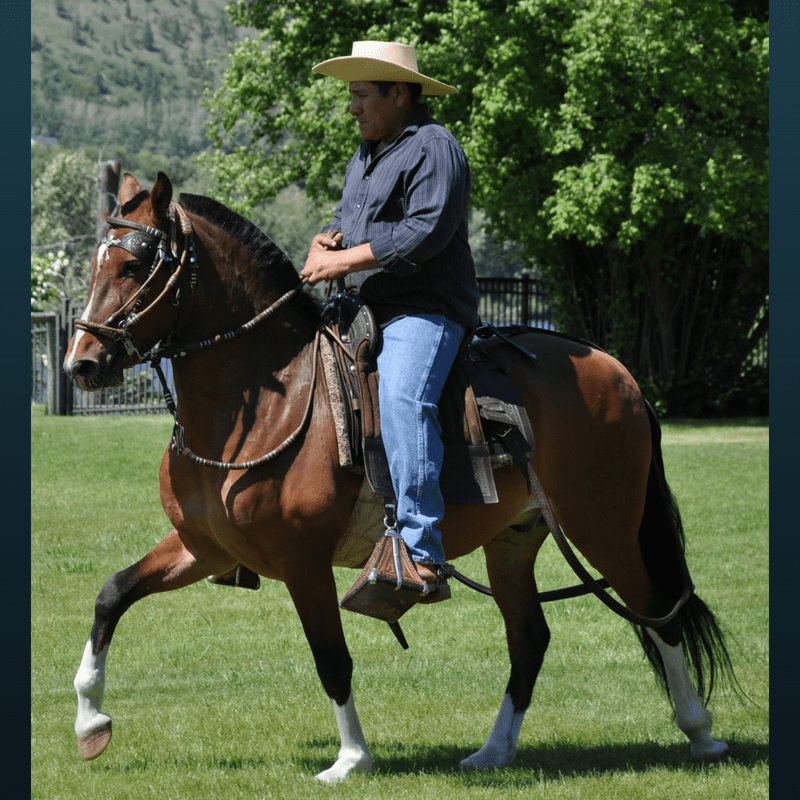 Currently in Chase, BC, he is now in the bit and continuing training with Pedro. Namaste is being shown in the luxury division this year.